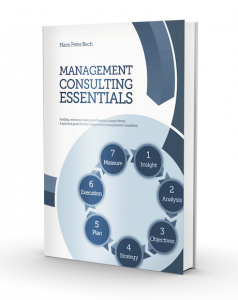 By Hans Peter Bech, bestselling author, workshop facilitator and business advisor. This is the third video in a series of five that TBK Consult have made for the Microsoft Smart Partner Marketing portal. Using a channel of independent companies to find, win, make, keep and grow happy customers on our behalf has a long tradition in the software industry. For some software companies the indirect channel has been a major contributor to global success, but for most software companies making it work remains a constant struggle. Let me illustrate the optimal use of the channel as an integrated element of your product offering and value propositions through a short case study. 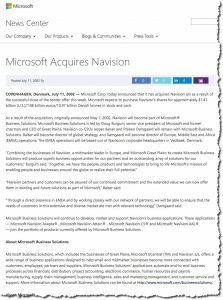 Microsoft Dynamics AX and Dynamics NAV are products based on the acquisition of the Danish software company Navision in 2002. When Navision started out with their first product in 1984 they decided to serve the market exclusively through resellers. Over the years Navision noticed that adding an option for the resellers to make changes to the product had a much larger impact on sales than adding a functional feature to the basic software product itself. This observation led to the release of two products, Navigator/AL where AL stands for Application Language in 1990 and Concorde XAL where XAL stands for eXtended Application Language in 1991. Both products enabled the partners to make customizations and to develop additional functionality on top of the standard features provided in the core product. Although this move made the products more complicated and the learning curve for new partners steeper, it allowed the partners to add extensions and services for which they should pay no license fee to Navision. Navigator/AL and Concorde XAL increased the value that the partner could create with the product. 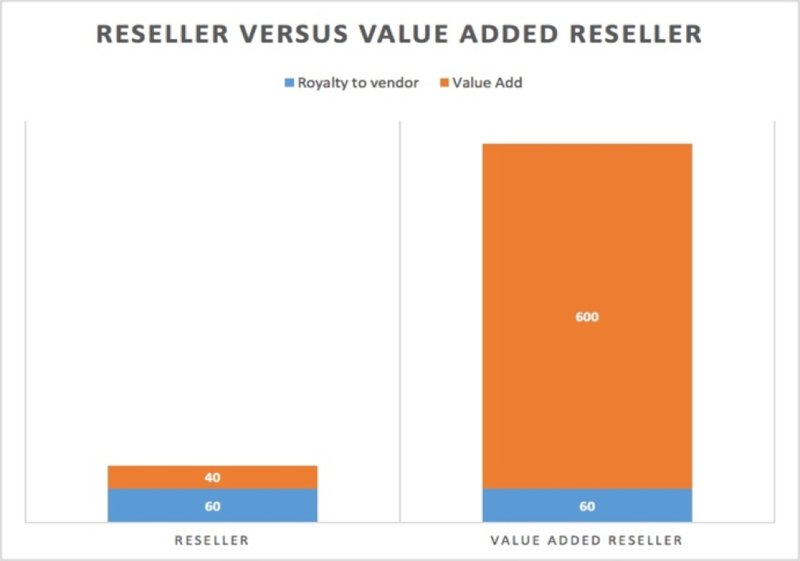 Instead of just reselling a standard software product, the reseller could offer customization, extend the functionality, offer professional implementation services and charge the customers for ongoing support. Today it is not unusual that a customer solution based on a Microsoft Dynamics product has a 90% value add. The extension allowed the partners to differentiate from other resellers and develop vertical solutions making them more attractive to customers. 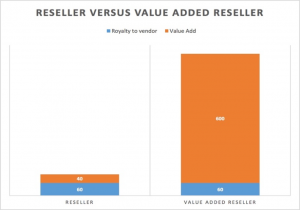 Customized solutions create a much tighter relationship between the reseller and the customers making it more difficult for the customers to switch to another partner. With the opportunities for extending the functionality many partners started to develop new modules and offer them to other partners. Navision motivated their partners to adopt a vertical market approach. By making the partners focus on different market segments they could expand the channel with much less risk of over-penetration. Partners that invested in vertical solutions were supported by joint programs where Navision co-sponsored marketing and sales activities. In tradeshows more than 50% of the exhibition “real estate” was reserved for partners displaying their solutions to potential customers. Navision also stressed that customers had a choice of implementation partners minimizing the “lock-in” situation that most customers dislike. Customers started to decide for NAV or XAL first and then scanned the marked for the right implementation partner next. With the Navigator AL and Concorde XAL frameworks the partners became an integrated part of Navision’s value proposition to the customers as well as to new potential partners. Navision had invented an ecosystem with much more scalability potential than they could ever have mustered should they had decided to develop all the functionality themselves. 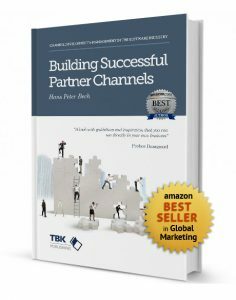 If you want to take the indirect channel route to the market you should consider how you can enable your partners to create value on top of your product. Release eco-system dynamics enabling the channel partners to pull you towards market leadership. If you succeed in motivating the partners to take the baton, then you have paved the road to success. 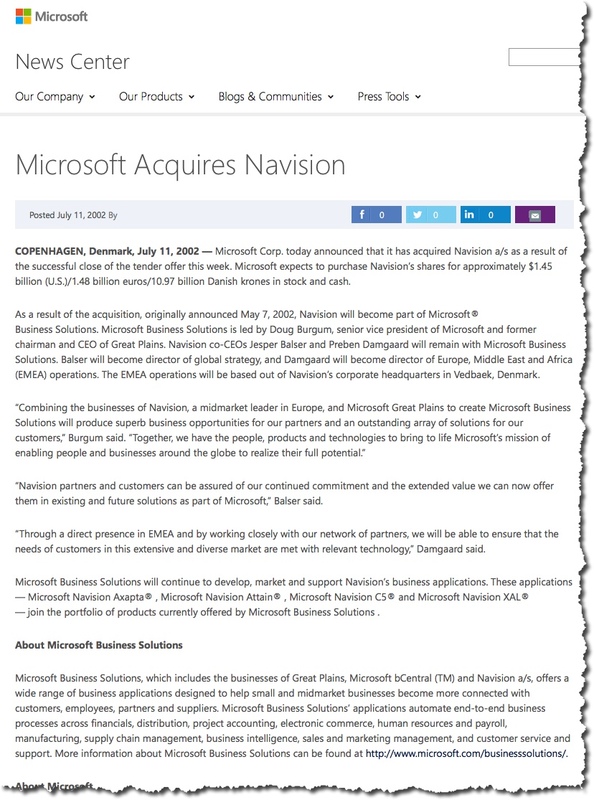 Note: Navision was based on the merger of Navision Software and Damgaard in 2000. Damgaard released Concorde XAL (eXtended Application Language) in 1991 and AXAPTA in 1998. Both products achieved massive international success. 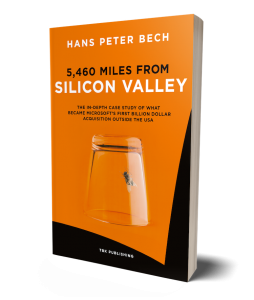 Hans Peter Bech is an Amazon bestselling author. He is a frequent blogger on issues related to growing software driven companies to global market leadership and has written several books and numerous whitepapers on business development in the software industry. Hans Peter also facilitates workshops for commercial professionals in the TBK Academy® and is an advisor for governments and private companies. Hans Peter holds a M.Sc. in macroeconomics and political science from the University of Copenhagen. This entry was posted in Sales, Strategy, Technology. Bookmark the permalink. I learned a lot from this book which helped me get a grip on the bigger perspectives. It's like playing chess. If you can only see one move ahead you will soon be in trouble. Great book. Seems as the US-model doesn't cope well with major changes.